The Blue Hole is located about 30 min. 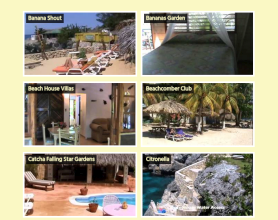 from Negril near the community of Little Bay. 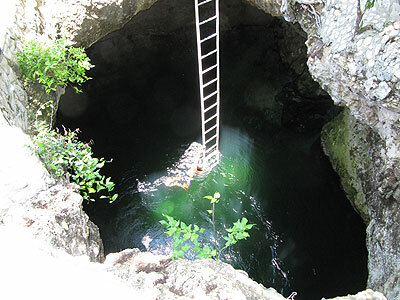 Experience the thrill of jumping off a cliff (or climb down a ladder) 22 ft. to swim in the hole's cool mineral water reputed to have therapeutic properties that energize and refresh.